Learn the locations where players need to search for giant candy canes in order to complete the latest 14 days of Fortnite challenge. In honor of the holiday season, the team at Epic Games has introduced the 14 Days of Fortnite event into the battle royale game mode. A different challenge will go live every day, yielding its own winter-themed reward. On the second day of Fortnite, Epic brings us a challenge to visit giant candy canes in different locations spread across the map. Here's where to find each of the giant candy canes in Fortnite. In the Iceberg biome, north of the newly added Frosty Flights. 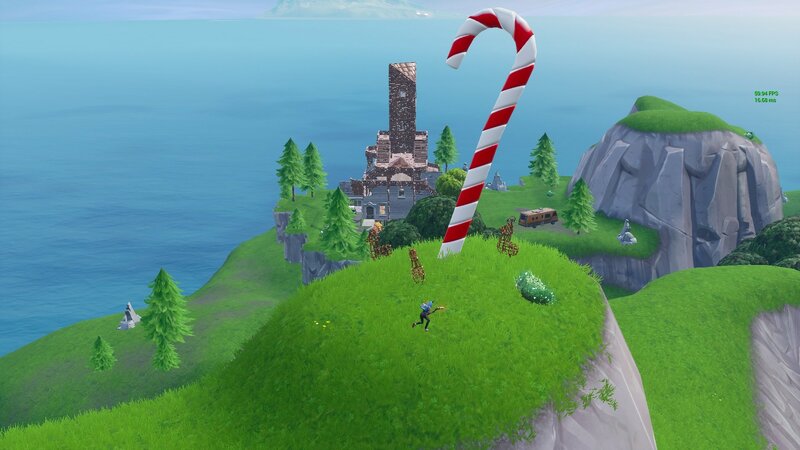 Remember that you only need to visit two out of the four total giant candy canes spread across the Fortnite map in order to complete the challenge. Once two giant candy cane locations have been discovered and the challenge has been completed, you’ll receive your big prize for the day two challenges: The Festive Firefight loading screen. This loading screen showcases an intense wintry battle between some of Fortnite’s most iconic holiday-themed skins. The new looading screen also features the infamous snowball launcher. 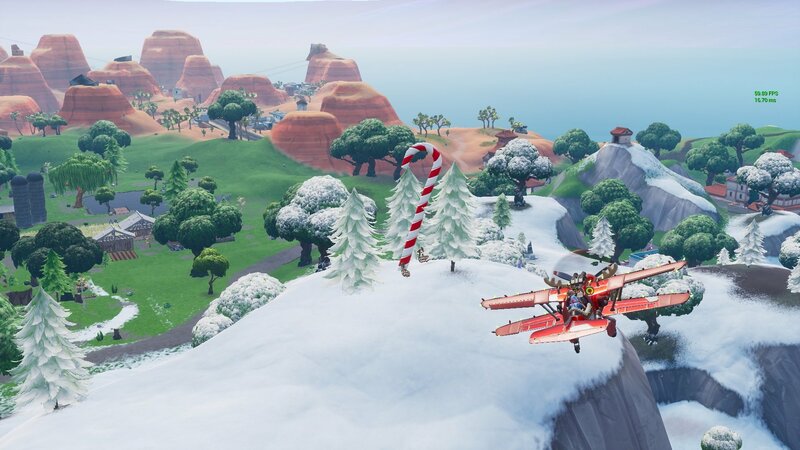 With each of the giant candy cane locations revealed, players should know exactly where to search in order to complete the challenge. We won’t learn more about the future challenges or rewards for the remaining 14 days of Fortnite challenges until they go live, so stay tuned to Shacknews for more helpful guides as these challenges begin to pop up. If you've already managed to complete the search for giant candy canes, you’re surely ready to move on and tackle whatever task Epic Games dishes out next for the 14 Days of Fortnite challenges. For all of your battle royale needs, keep it locked to Shacknews’ Fortnite home page.